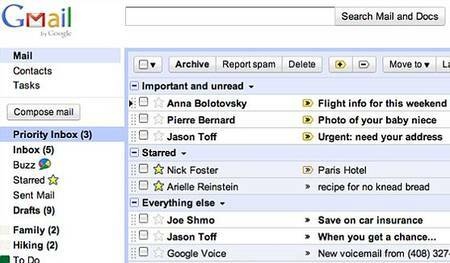 Priority Inbox watches what you read and respond to. It learns over time and should become more efficient at sorting the critical from the trivial. The inbox is split into three sections — Important and unread, Starred and Everything else (you can configure them in GMail’s Settings): If the filter gets it wrong, you can mark a message as more or less important using the + and – buttons accordingly.Google has tested Priority Inbox internally for 18 months. According to it’s own internal reports, employees now spend 13% less time reading irrelevant emails.For more information, refer to The Priority Inbox page.Will it save you from email overload?